Here is an important study that shows how the risks for strokes in women can be reduced according to their levels of potassium, magnesium and calcium. However, in fact, most women would not even be aware of what their levels of these minerals would be. Doctors don't measure them, and even if they did, where is the data to help them know what to eat and what reliable supplements to take? Read this study and then my comments below. The results of a large prospective study show that women with a higher intake of magnesium, potassium and calcium have a lower risk of stroke. Calcium, potassium and magnesium are the 3 most abundant minerals in the body. Each play roles in the health of the cardiovascular system. Although studies have shown these minerals to have benefits related to cardiovascular health, information on the relation of magnesium, potassium and calcium with stroke risk have been inconsistent. These minerals are often found together in foods, and their intakes are strongly correlated. In a new recent published in the American Journal of Clinical Nutrition, researchers examined the associations between intakes of magnesium, potassium and calcium with stroke risk in a large population of women. The participants included 180,864 women that were participants in two studies, the Nurses Health Study and Nurses Health Study 2 (NHS and NHS 2). Follow-up in the NHS was 30 years, and 22 years for the NHS 2. Food frequency questionnaires were used to document intake of each mineral and a combination of the 3 from both dietary and supplemental sources. During the follow-up period, a total of 3,780 stroke cases were documented. Compared to the women in the lowest 20% of magnesium intake the women with the highest 20% of intake had a 13% lower risk of stroke. Women with the highest potassium intake had an 11% lower risk of stroke. Women with the highest combined mineral score had a 28% reduced risk of stroke. Based on an updated meta-analysis of all prospective studies to date, the risk of stroke was reduced 13% for each 100 mg/day increase in magnesium intake. For each 1,000mg/day increase in potassium intake there was a 9% reduction in stroke risk. Calcium intake was not independently associated with stroke risk. The results of this study show that both magnesium and potassium intakes are inversely associated with stroke risk, and that women with a higher intake of the combination of magnesium, potassium and calcium have a significantly lower risk of total stroke. Thank you to the USANA Health and Education Department for revealing this study. Note from Deanna: It would be interesting to see whether studies have been done to see how these minerals affect men as well, and their reduction in the risk of having a stroke. In the meantime, it would seem reasonable to have your levels of potasium, calcium and magnesium checked. I have put my faith in the USANA nutritional supplements to boost my health. The benefits of most supplemental nutrients are more obvious after chronic long-term use (except correction of deficiencies, of course). 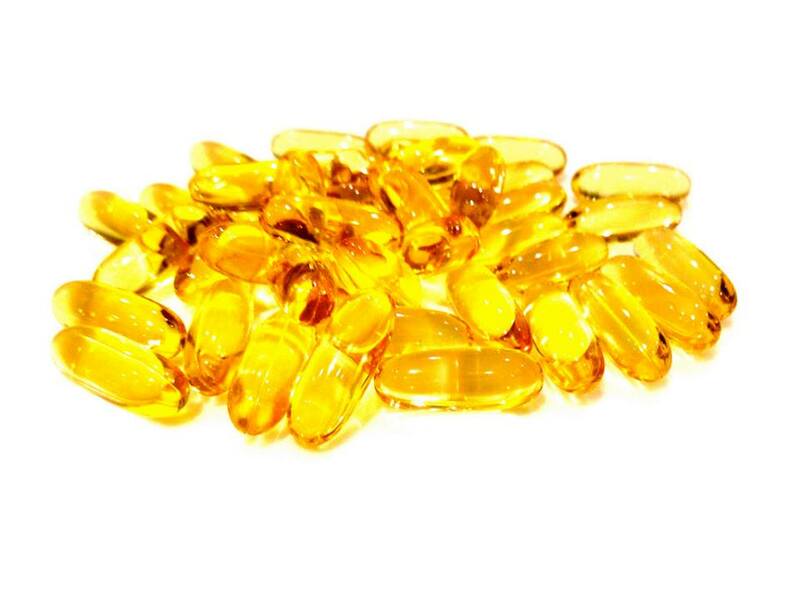 Here is a paper showing fish oil having benefits even with short-term intake (6 months). It is well-known that omega-3 fatty acids can improve long-term heart health. A study published in the medical journal Chest indicates that omega-3 fatty acids contained in fish oil may improve heart function even after short-term supplementation. Researchers followed 58 people aged 60 or older who were randomly assigned to take either marine-derived omega-3s (fish oil) or plant-derived omega-3s (alpha-linolenic acid) from soy oil. The oils were taken as 1-gram capsules, twice daily for six months. A measure of heart-healthiness called heart rate variability (HRV) was assessed every other day. Supplementation with 2 grams a day of fish oil was associated with a significant increase in HRV. The supplementation with 2 grams a day of soy oil also significantly improved HRV, but to a lesser degree than the fish oil. Information provided by the USANA Health and Education Department. Note from Deanna Waters: My husband and I appreciate the science behind the USANA BiOmega fish oil supplements, which contain a concentrated dose of two important Omega-3 fatty acids - EPA and DHA - to support healthy cellular function throughout the body. Twelve weeks of supplementation with vitamins and minerals was found to boost the attention scores of children, according to results published in the British Journal of Nutrition. It is well known that adequate levels of vitamins, minerals and other nutrients are essential for optimal neural functioning. A significant percentage of individuals, including children, suffer from deficiencies in one or more vitamins or minerals. This study investigated whether daily supplementation with multivitamins could alter cognitive performance and mood in healthy children. The randomized, double-blind, placebo-controlled study included 81 healthy children aged 8-14. The children were reportedly all healthy and free from food allergies. None of the children used other dietary supplements during the three months prior to the study. Participants were randomly assigned to daily multivitamin and mineral supplements or placebo for 12 weeks. The children underwent laboratory assessments of their cognitive performance and mood pre-dose and at 1 and 3 h post-dose on the first and last days of the trial. Assessments were also completed at home after 4 and 8 weeks at 3 hours post-dose. Cognitive performance was measured using a battery of laboratory assessments, which included tasks assessing mood and the speed and accuracy of attention and aspects of memory. The children in the vitamin/mineral group performed more accurately on two tests of attention. No effects were observed on measures of the children’s mood. Although the results of this study require further investigation, it suggests that vitamin/mineral supplementation has the potential to improve brain function in healthy children. Information provided by USANA Health and Science Education Department. Note from Deanna Waters: I recommend the USANA Health Sciences multi vitamins and minerals for children called USANIMALS, which is uniquely pharmaceutical grade, guaranteed for potency, purity, dissolution and bioavailability. A wonderful choice for children.